Is Your Equine Breeding Contract Legal? 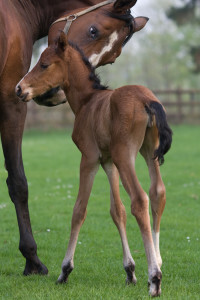 There are many obvious legal issues involved in equine breeding. Before breeding season, it's important to ensure your contracts are prepared and worded correctly – everything must be in writing. It's essential that there is a thorough understanding of the terms and conditions for all those involved. Oftentimes, contracts for horse breeding don't simply end at the breeding aspect. This usually includes boarding contracts and liability releases, as well as stallion or mare management depending on where the breeding is taking place. Insurance is also important to look into in the case of an injury or death to the mare, stallion, or foal. It's vital to get detailed in every clause within the contract. Writing a breeding contract is not something that is recommended to do on your own; an experienced equine lawyer should be hired to ensure the contract covers all aspects to protect both parties. Breeding contracts can prevent several disputes and save you money and frustration down the road. The small cost to have a contract drafted can potentially save a party thousands of dollars in legal fees. Contact Catanese & Wells, an equine law firm that has served the needs of the horse industry for over 25 years.